Brewed with 100% local pilsner and Heritage malt from Asheville’s own Riverbed Malthouse and fermented with a wild yeast strain isolated off a Carolina nectarine by our pals at Southeast Labs. Tangy, fruity, crisp. 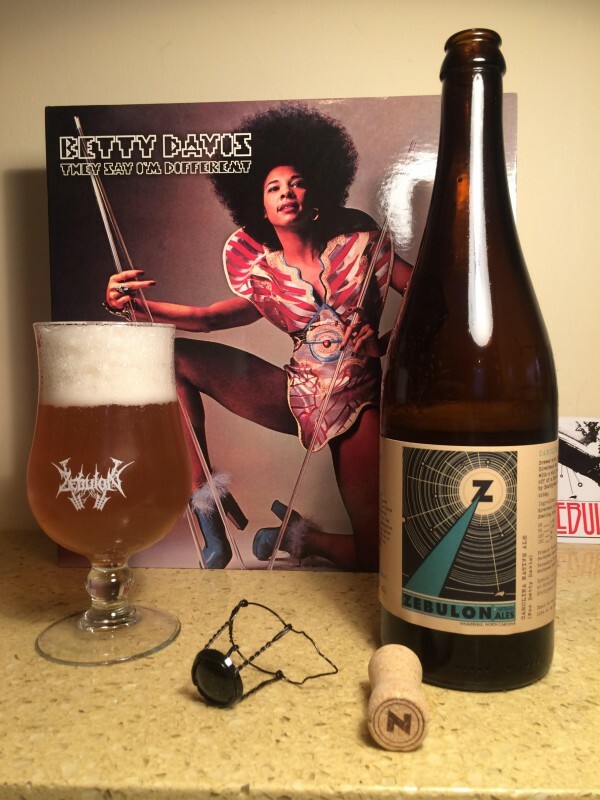 Dedicated to Durham’s own queen of the funk Betty Davis. She was married to Miles Davis and turned him on to acid and Jimi Hendrix. If you haven’t heard any of her funkalicious solo albums (backed up by Sly and the Family Stone’s band) you are missing out. New beer release: Saison Vieille Provision (for Gene Wilder) 9.2% ABV. Vieille Provision translates as “old stock” and is used for strong beers that are barrel aged. 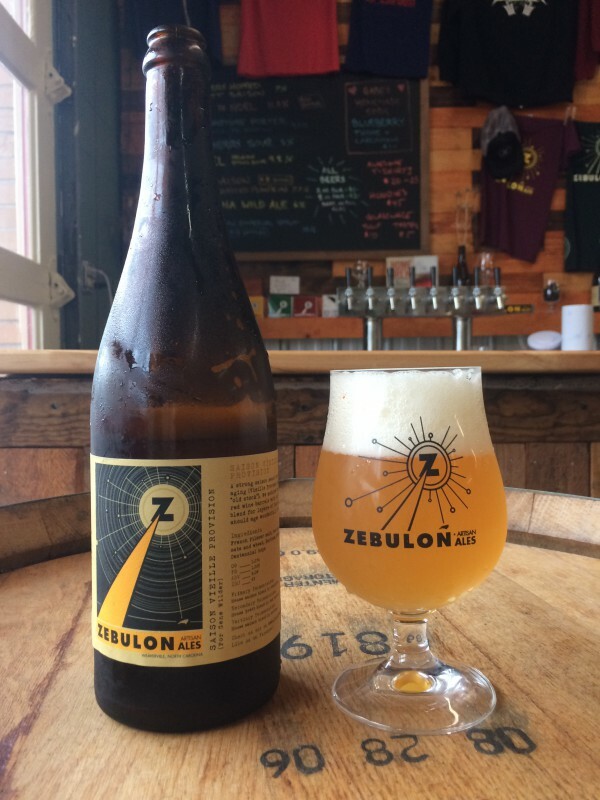 This mixed field saison spent 4 months in red wine barrels with our house Brett blend and then bottle conditioned for 2 months. The aroma is all stone fruit, apricots and peaches (even though there is no fruit in it), lively carbonation, some delicate funk. The flavor insists that there is no way this is a 9.2% beer, it drinks like a 5%. Tangy, almost tart with a pithy grapefruit character…hints of oak and funk. Really, really nice! Biere De Noel (for Charles Bukowski) 11.5% ABV. Our first annual Christmas beer. This beer started it’s life as a dark Belgian quad fermented with our house saison yeast blend. We then aged it on sour cherries, not enough to make it into a “cherry beer” but to add a layer of tart fruit to pair with the nougat and chocolate flavor of the base beer. Then we put it into fresh red wine barrels with our house Brett blend and aged it for 4 months. The aroma is similar to an old vines zinfandel or old Bordeaux with layers of funk, oak and dark fruit. The flavor is again wine like with hints of cherries, oak, chocolate cake, light funk. I will definitely be stashing a few cases to see how this one evolves. Historical Imperial Stout (for Muhummad Ali) 10% ABV. From the actual brewer’s logs circa 1840, this is what Imperial stout tasted like when it was sent to the Russian Czars. No candy bar flavoring, coffee or bourbon, just an intense depth of flavor from floor malted pale, brown and black malts from England. 160 IBUs of East Kent Goldings. A beer of immense complexity. We aged the beer for 4 months at the brewery before release to allow the flavors to blend perfectly. This beer is drinking amazing right now but could be aged for years, start collecting now for a future vertical tasting! Who likes pumpkin spice beers? Not us! In fact I can’t seem to find anyone who likes that crap. Most brewers don’t even bother to put pumpkin in their pumpkin spice beers. We figured that someone had to do it right. We took 150# of local pie pumpkins grown by our friends and neighbors at Rayburn Farms and roasted them in a fire pit until they were caramelized and smokey and put them in the mash of a classic fall saison. The beer itself has the classic fruity yeast character from our house saison yeast blend with a subtle but noticeable flavor of roasted pumpkin in the finish. At 7.7% ABV, its a warming beer perfect for a fall evening and would pair nicely with a roast turkey. Don’t give up on pumpkin beer, it can be made well! A collaboration with Bhramari Brewing, a refreshing thirst quencher with the addition of local musk melon. Dedicated to MCA from the Beastie Boys…he had a beard like a billy goat. A collaboration with Twin Leaf Brewing as a fundraiser for the Brewing For Greenways project. An attempt to rescue the much maligned classic American lager from the hands of the mega brewers. We kept the classic 6-row and corn base and added copious amounts of Centennial and Citra hops in the whirlpool and dry hop. A refreshing Belgian style wit with the addition of 10# of locally grown Thai basil from our friends at Rayburn Farms. The basil gives a floral almost licorice character which blends nicely with the fruity yeast blend. This beer is dedicated to Terry Riley, our favorite avant grade composer whose invention of tape delay created some of the most psychedelic music of its time. This is a super limited edition of only 40 bottles available to friends of the brewery and fellow brewers. It started life as some wort left over from brewing Maceo while at Green Man, the wort was left out overnight and inoculated with wild West Asheville yeast and bacteria. It was then left alone for 18 months. Bottled with white wine yeast.